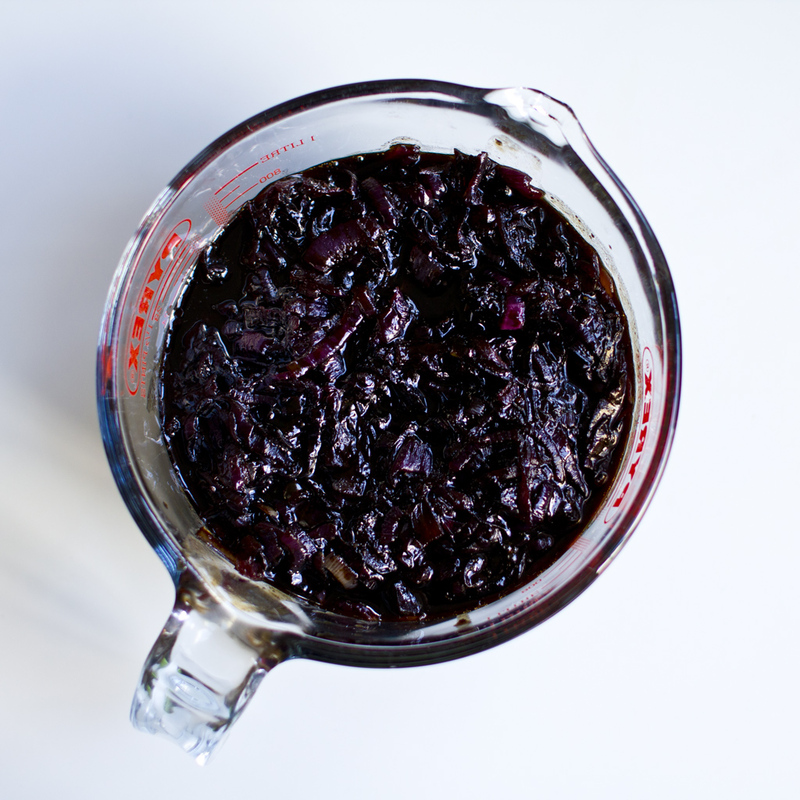 Red onion compote – so tasty! Throw the onions in the pan together with the 3 tbsp of sugar, and a couple pinches of salt. Stir occasionally. If you’re using crema (I usually do, because it’s easier and just as good), wait another 5-10 minutes, then throw in about 4-5 tbsp of Crema di Balsamico. One the compote has the right consistency for you, turn off the stove and let it cool. I usually serve it warm or at room temperature. Enjoy! This entry was posted in Sides and tagged bbq, easy, madeahead, onion, sides by bbqviking. Bookmark the permalink.